Find hotel near Thiruvanvandoor Mahavishn .. This is another beautiful Hindu temple to visit in Alappuzha. Dedicated to Vishnu, this temple is said to be built around 6th – 9th centuries AD. It is one of the 108 Divyadesam that is dedicated to Lord Krishna (avatar of Lord Vishnu), worshipped as Paambanaiappan. When you visit the temple, check out its design as it is said to be built in ancient Kerala style of architecture. Visit the temple during Thiruvaimozhi festival. This festival is celebrated for 51 days. How popular is Thiruvanvandoor Mahavishnu Temple? People normally club together Kandiyoor Shiva Temple and Padanilam Parabrahma Temple while planning their visit to Thiruvanvandoor Mahavishnu Temple. People also prefer to end their day with Thiruvanvandoor Mahavishnu Temple. One of the oldest temple, deity is nakulan who is one of the pandavas, very well managed temple with lot of festivals and traditions. 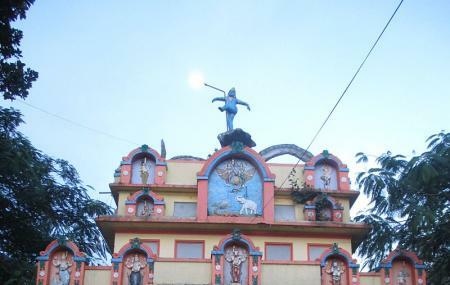 One of the 108 vaishnanava divya desam, this is part of 13 Kerala Divya desam, please visit this temple.This temple is in Chenganur area, you can find a accommodation in Chenganoor, there are 6 divya desam temples nearby it.